Modeshift STARS (Sustainable Travel Accreditation and Recognition Scheme) provides a framework for the implementation of sustainable and active school travel activities. 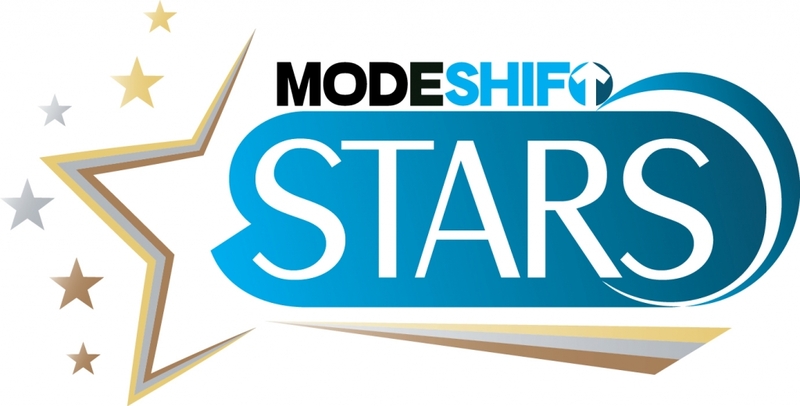 Modeshift STARS is a national schools awards scheme that has been established to recognise schools that have demonstrated excellence in supporting cycling, walking and other forms of sustainable transport. It advocates delivering a package of measures, which can include a range of existing initiatives that are designed to engage all sections of the school community. The Prime Minister’s summer 2013 announcement to shift cycling up a gear detailed a number of supportive measures for cycling to be delivered in the coming years. This included a National Schools Awards scheme to recognise schools that have demonstrated excellence in supporting cycling and walking. On the 6th November 2014, Baroness Kramer, Minister of State for Transport, attended the Modeshift Annual Convention, where she announced a Department for Transport grant of up to £184,000 to expand the Modeshift STARS national school award scheme to every school in England. The Department’s grant will allow every school in the country to sign up to the Modeshift STARS programme for free of charge, as well as supporting the delivery of five regional award events each year and the creation of improved support and best practice sharing for schools. Schools in Bucks have been using Modeshift STARS since May 2013, to plan, monitor and report on their sustainable travel activities and develop their school travel plans. It is an easy to use, online system, that helps schools plan their activities, focus on delivering sustainable travel initiatives and upload evidence of actions. To register, please follow the instructions detailed in the STARS Guidance for Schools and use the ‘Useful Link’ to access the Modeshift STARS website. You will also need to supply School and Survey information to set up your profile. The form can also be downloaded from the right-hand side of this page. To provide you with support and guidance with development of your travel plan using STARS, and advice on maintaining your accreditation we offer STARS Surgeries. You can book a half hour appointment for a 1:1 session with our Transport Strategy Officer, who will offer training, tips and information to support STP Co-ordinators whether they are new to the system or have been involved for years. The Transport Strategy Team also have a range of resources and initiatives to support schools to develop and maintain their STPs. Having been a School Travel Plan Coordinator for 10 years now, I would just like to send a comment on Modeshift Stars. The system is really easy to use and has clear indicators of what needs to be added where. The evidence uploads really quickly and can be checked to see that it is the correct piece of information. Initially I filled mine in retrospectively, which took a good chunk of time. However, now I can use it for planning, with reminders, and add data as it is gleaned rather than leave it all for an Annual Performance return. Modeshift will be a working document that can be accessed by several key members of a school inviolved in travel planning and so support the school with planning and impact of our STP initiatives. Nicky could answer any queries I initially had and offer guidance where initially required. I was a bit sceptical about the Modeshift STARS accreditation to start with but I can honestly say that it is the best thing to happen in the whole of my 7 years as Travel Plan Coordinator. Everything is there all in one place, it can be accessed by anyone in school and is an ongoing story of the way our Travel Plan has embedded into our school life. It is so easy add evidence as and when it has been done and saves the panic of the last minute report that used to be! The site makes it clear what has been done & what needs to be done to gain the various levels. Nicky is always at the end of an email to answer any problems that arise.